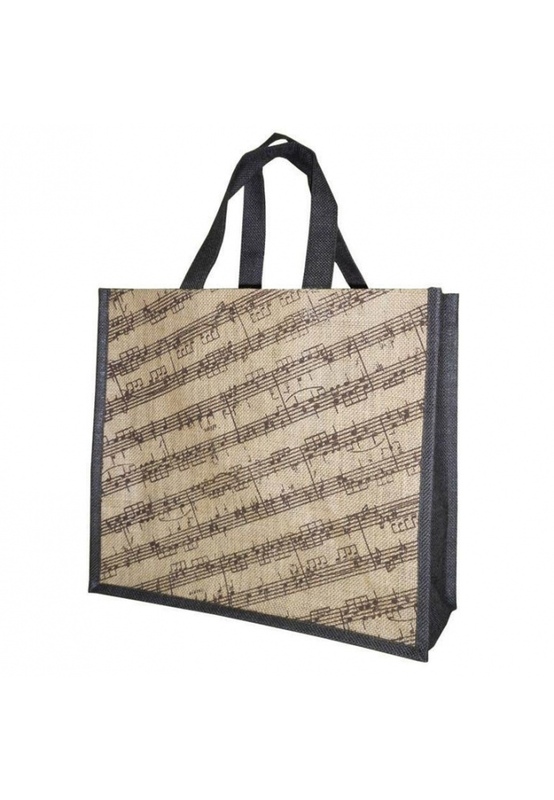 Jute Everyday Shopper, in brown with music stave design. Cotton strap handles. 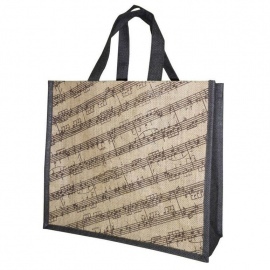 Size - 35x39x15 cm.